I’m excited to be guest posting today at Soli Deo Gloria Sisterhood. I wrote the post a couple of months ago and when I pulled it up and read through it, I wept. Not because I miss Dan — boy, do I — but because of the goodness of God. God has certainly not prevented the suffering but He has absolutely been good in the midst of it. It was like leafing through old journals and discovering again how God has worked in my life. There is such encouragement in remembering where we’ve been and what God has done for us. 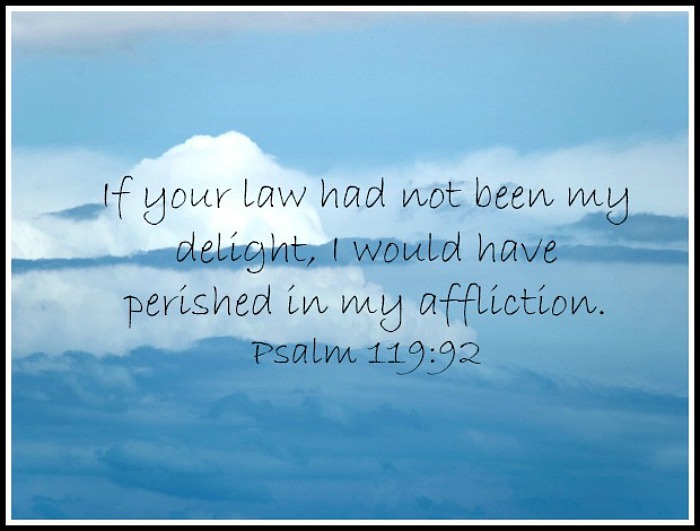 “The LORD has done great things for us, and we are filled with joy.” I could sing Psalm 126 right along with those Hebrews returning from captivity to their beloved Jerusalem. As I’ve battled an unexpected wave of grief that hit deep right before Christmas, reading afresh God’s continual goodness makes my pulse quicken and my outlook brighter this morning. And even that . . . only God could give good memories right in the midst of suffering. You can read the post here at SoliDeoGloriaSisterhood. I know those brief waves of grief and my heart goes out to you. Thank you for your beautiful post, your reminder to notice that we are taken care of through it all. My husband of 26 years 5 months and 16 days passed away suddenly from a heart attack this week. I have hope. Thank you.